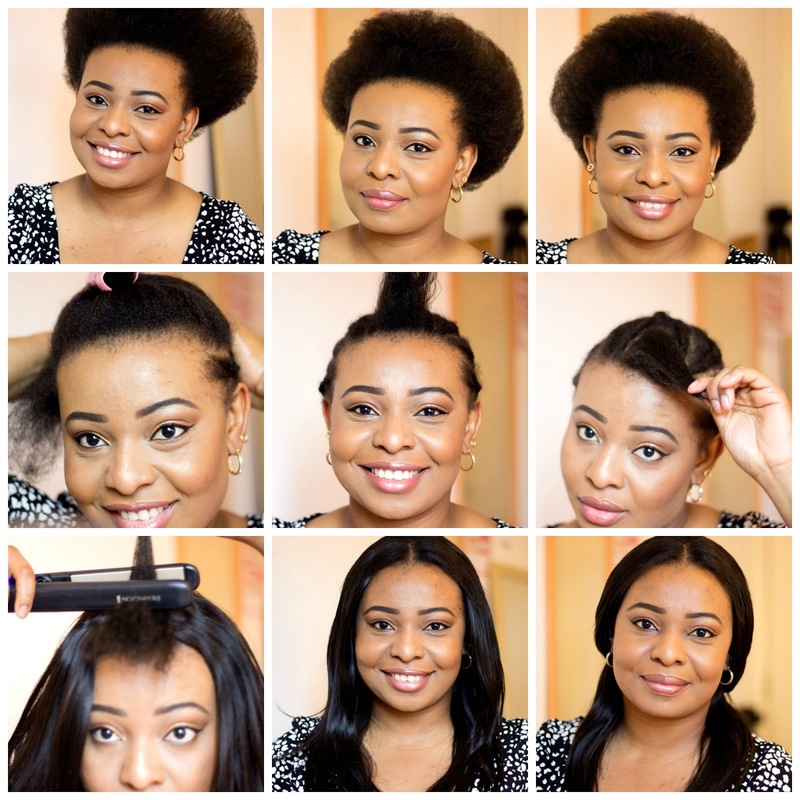 I realise I have not been doing natural hair posts as much as I thought I would. It's mainly because I have not been serious with my hair journey at all. 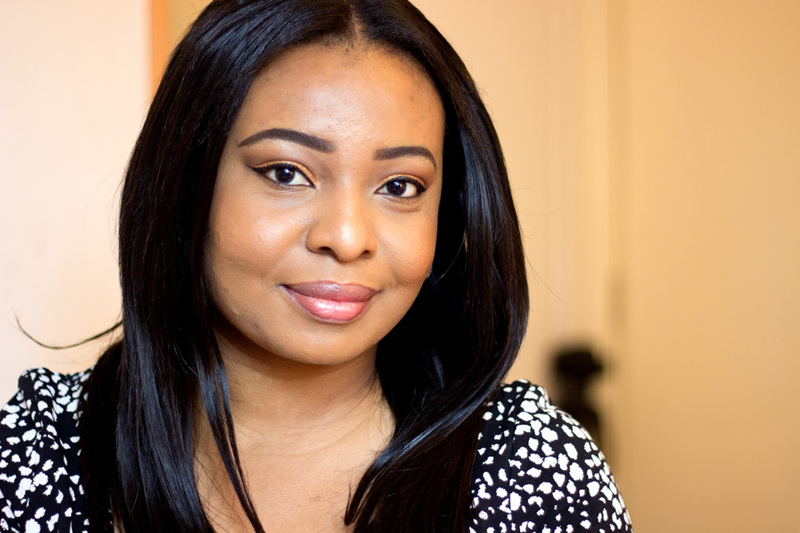 I have always been #team low maintenance with my hair and I absolutely hate having to do too much manipulation to my hair. I am lucky that I can do my hair myself so I can switch up my styles whenever I get bored (and I get very bored with my hair so easily). The good thing is I don't have to pay for a hair stylist to do my hair as I do it myself (except when I want braids). 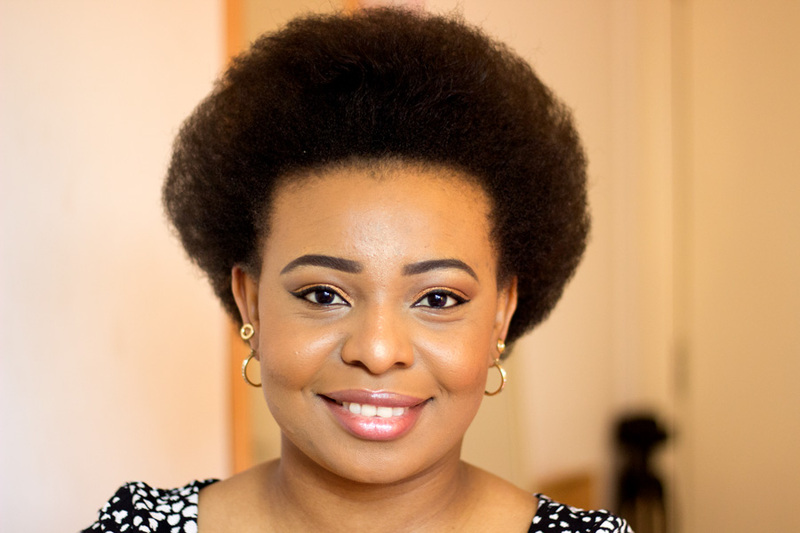 Most of the time, I have hair extensions on because they are much easier to maintain than my little fro' but it does not mean I don't rock my fro every now and again. I love my fro and I am so shocked my hair still grows despite how lazy I have been with it. 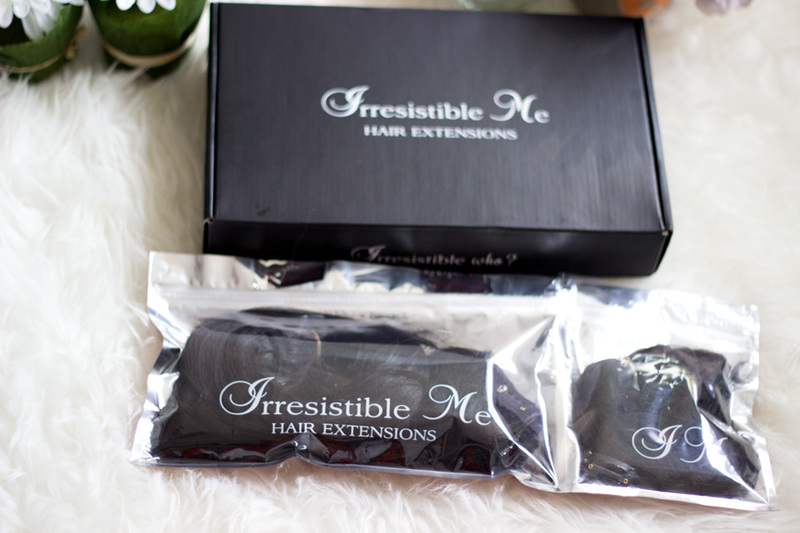 Anyway, I was delighted to be contacted by Irresistible Me Hair Company to ask if I was willing to review their hair extension clip ins and I said yes because I have only tried clip-ins once (and I made them myself) so I was curious to see how a professional one would be. 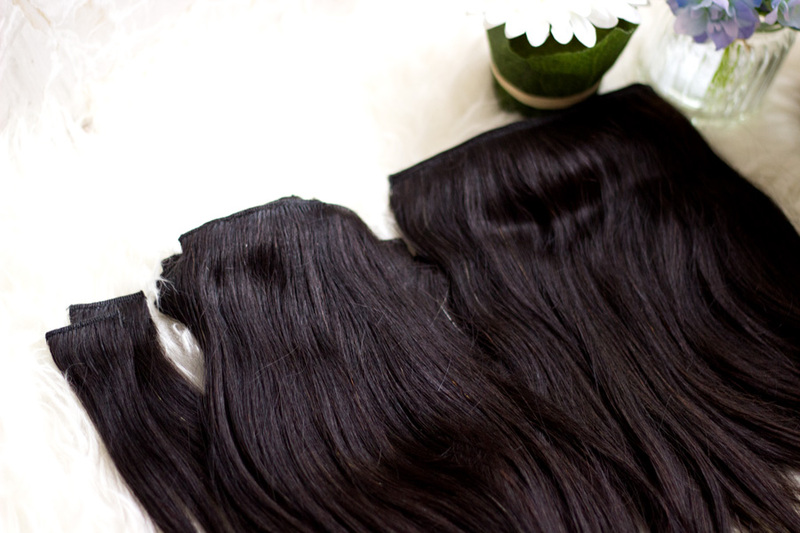 I chose the Silky Touch Remy Hair 14 Inches in 200 g* and I could not wait to receive it. I received my package pretty fast; I think it took about 3 days or so and I was impressed with it. There was also a tracking number so I could keep up with where it was at each time. 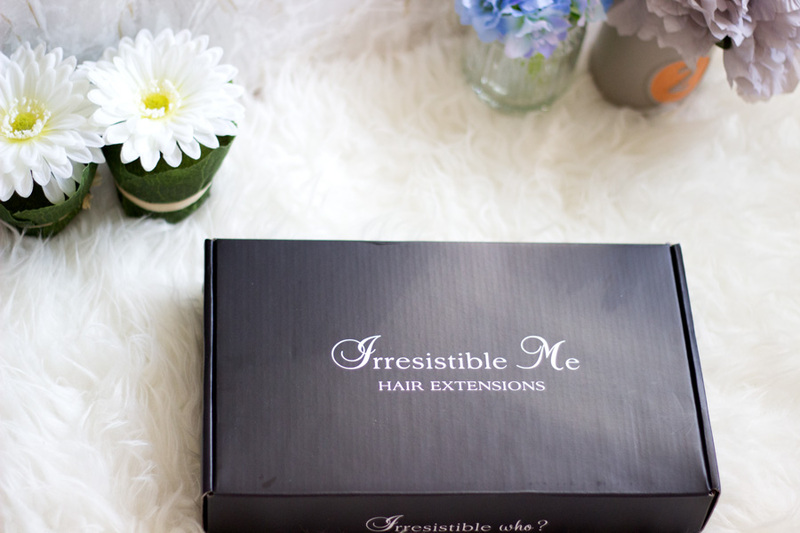 Irresistible Me is a US Based Hair Extensions company who specialise in 100% natural Remy Clip-In Hair Extensions, Hair Accessories and Hair Tools. 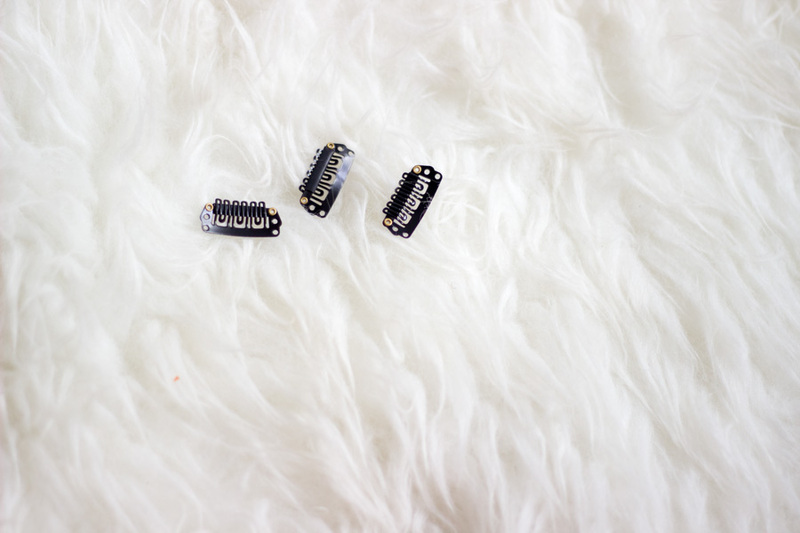 They are a growing brand but they are quite popular in the beauty and hair world. They have a very active Instagram and I have seen many ladies featured on there. You can also follow them on their other social media channels here to be updated on any offers they have- Facebook, Twitter, Pinterest and YouTube. 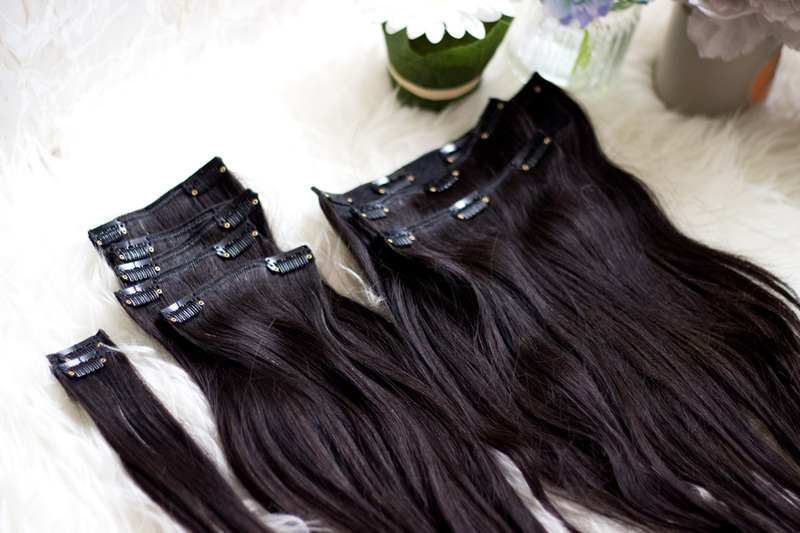 They stock two types of hair extension clip-ins which are both 100% Remy Hair(I believe): The Silky Touch and Royal Remy. 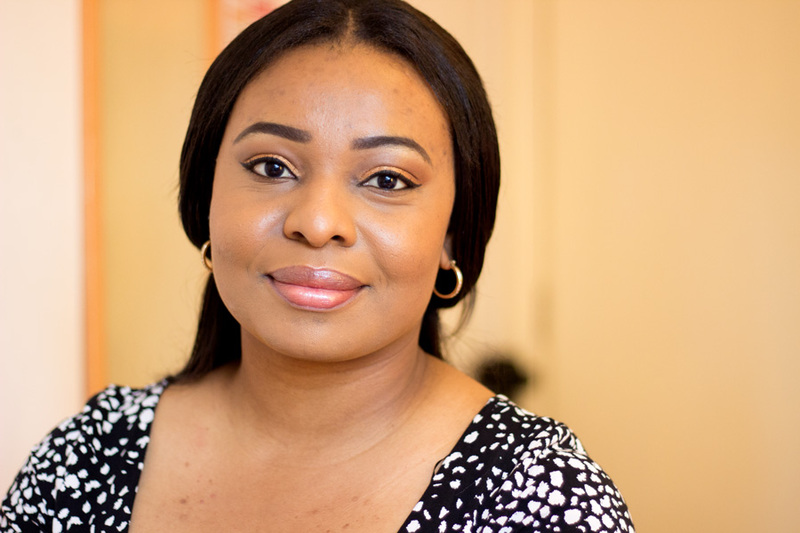 There is an FAQ page here which talks about the difference between the two types of hair here if you are interested. Basically, the main difference is the thickness of hair from top to bottom. 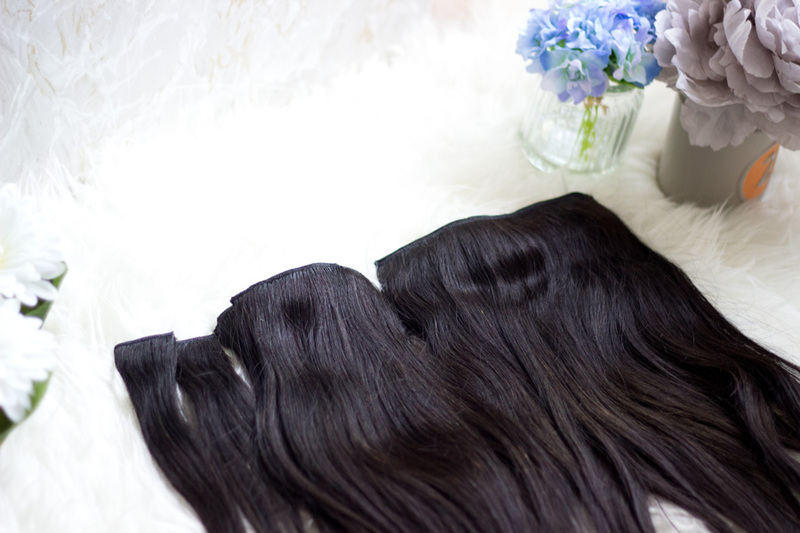 The Silky Touch Remy Hair Extensions are thicker at the top and taper towards the end for a more natural look while the Royal Remy has the same thickness from top to bottom and has more volume. They also come in various colours so it's easy to find something to suit your natural hair. 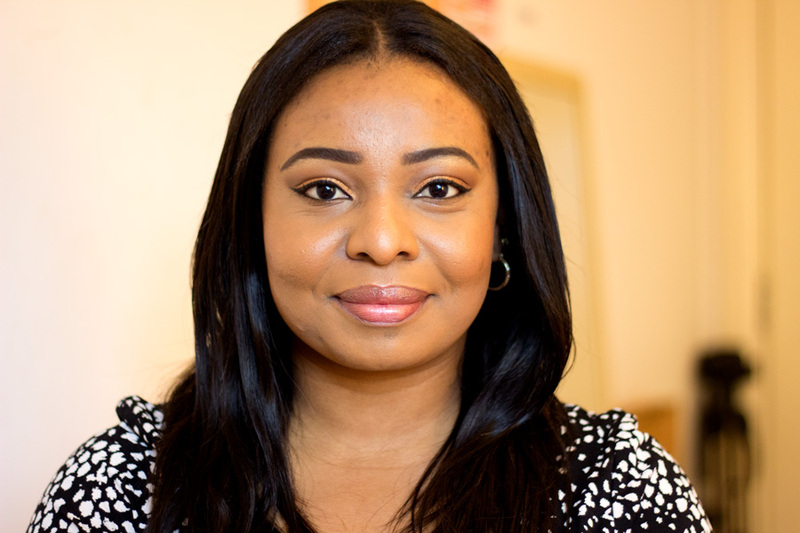 They are not virgin hair extensions as they have been treated and chemically processed however they are high quality hair extensions. They honestly look as amazing as virgin hair extensions on first impressions. What Hair did I receive? I already mentioned it was sent to me so they asked me to make a choice from the website. I chose the Silky Touch Remy Hair extensions. I also chose the colour 1B which I knew would be the closest to my natural hair colour. They do have a helpful video on choosing the right colour which I found useful. However, if you have dark hair like me, a good match would be either 1 or 1B. 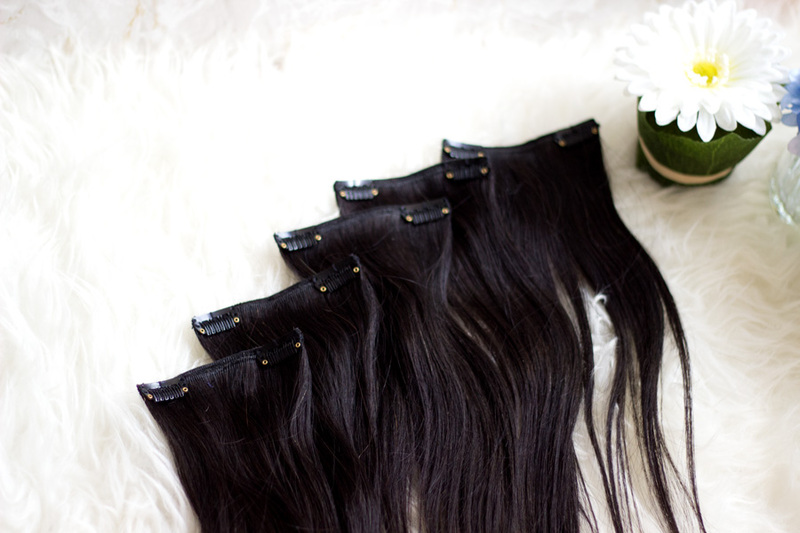 I generally prefer 1B in all hair extensions I choose or purchase. 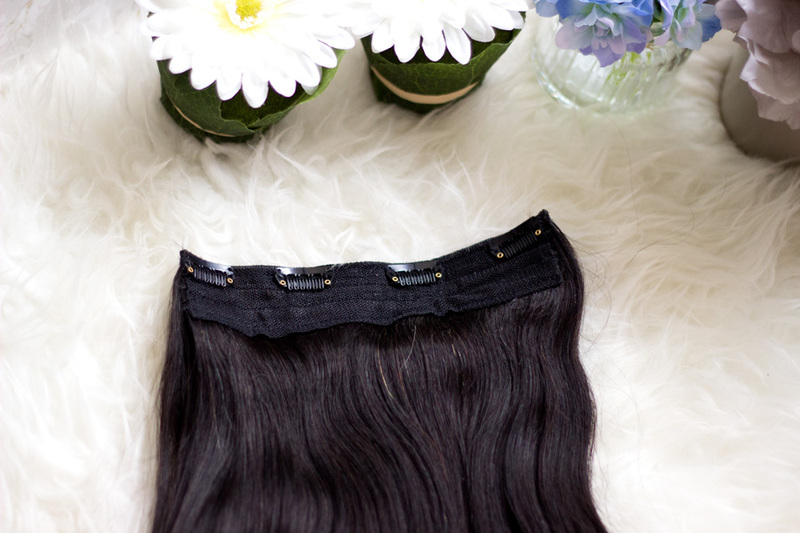 The Silky Touch Remy Hair Extensions feel so lovely and soft and you can tell they are amazing quality. 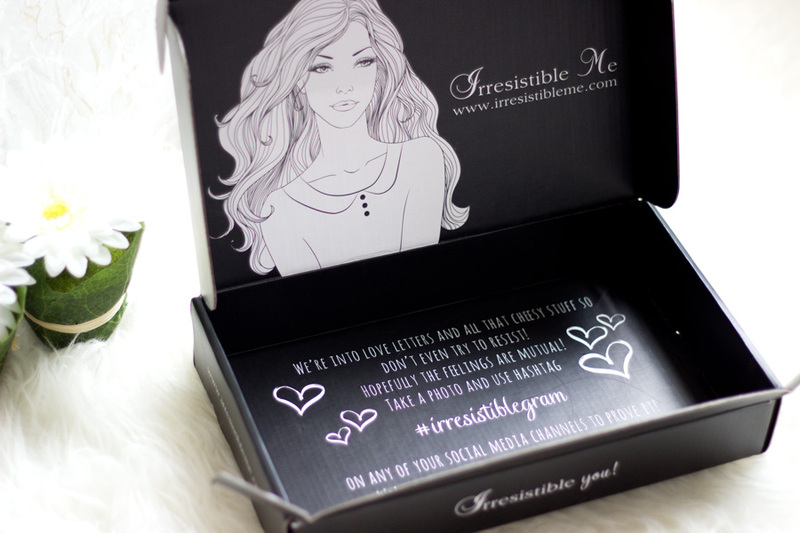 You all know I am all about packaging and I am really pleased with the Irresistible Me Hair packaging. 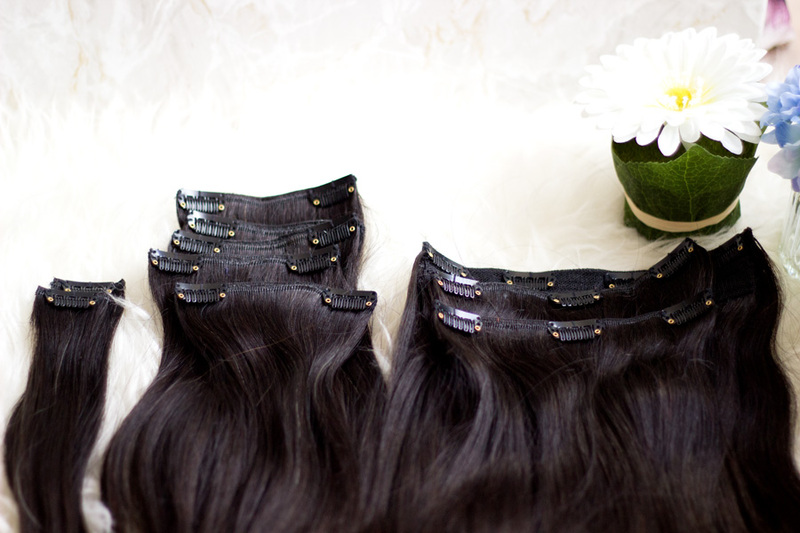 First off, it comes in a black box which is really compact so you can store and travel with your clip-ins if you wish. I love all the illustrations on the box which gives it a very unique look. 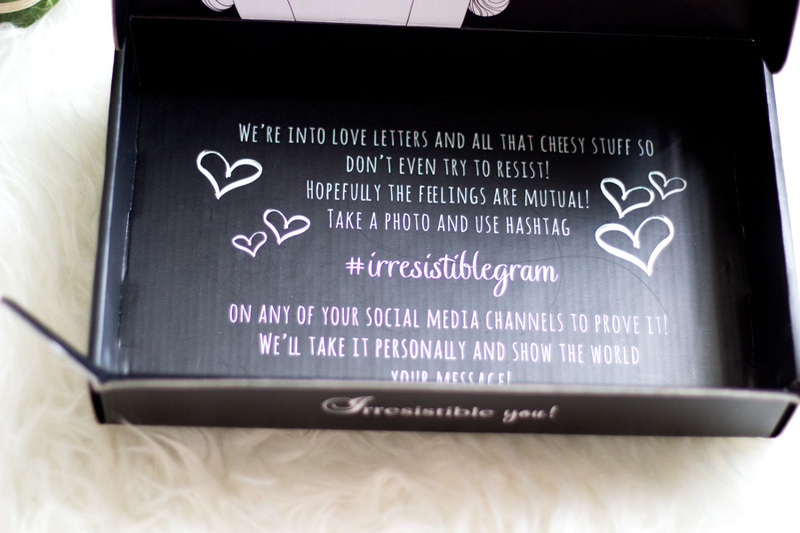 At the bottom of the box, it has some inscriptions talking about their social media channels and hash tags to use. 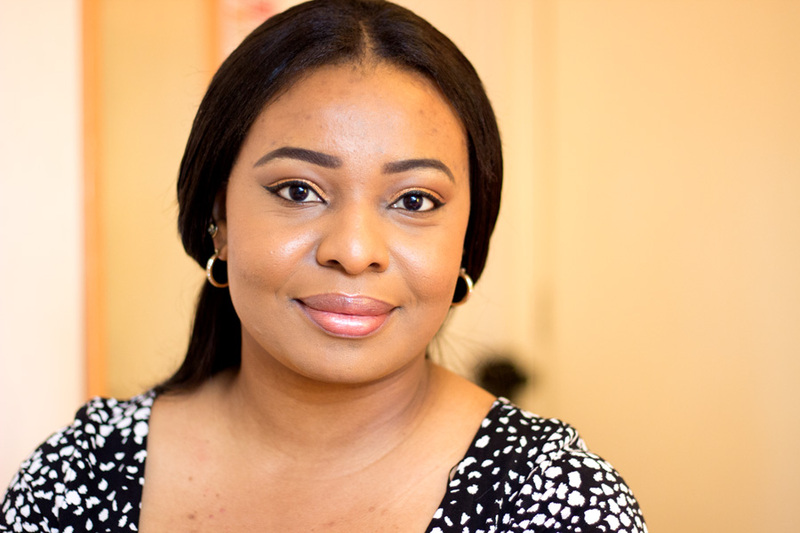 I already follow their Instagram page which I like because it always features really lovely people who have used products from Irresistible Me. It also gives you a chance to find new people to follow and I have followed quite a few people just based on them being featured on the Irresistible Me Instagram page so it is one to follow. In my excitement, I already opened the hair before taking the photos but I tried to put it back the way it came :-). The hair in itself came in a plastic packaging but it is not just regular/thin plastic packaging. It is quite well made and has resealable openings. This packaging has two compartments which I soon realised was for the benefit of both the customer and the company. Majority of the hair was in the bigger compartment which is sealed with their tamper proof seal. The smaller compartment contains a small amount of clip ins which allows you test to see if you are happy with the hair quality and colour. If you are not, you can always return it without opening the bigger compartment and I think that's such a brilliant idea. 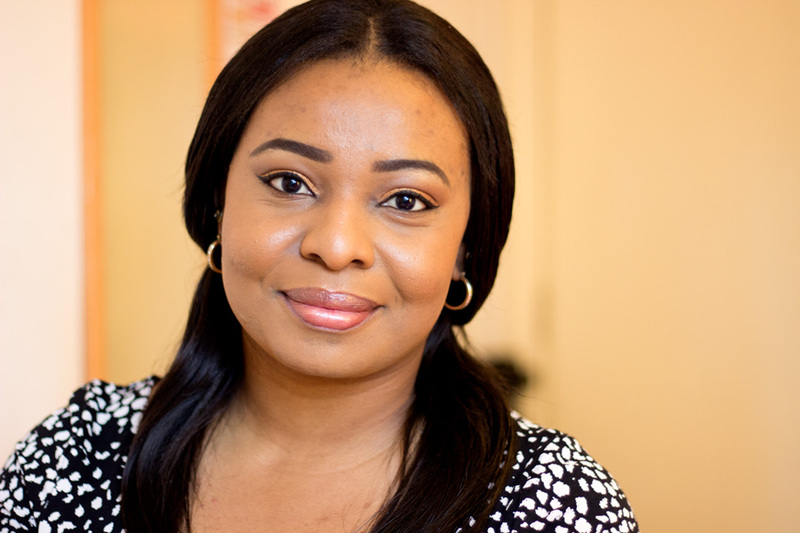 Of course, if you break the tamper proof seal, you would be unable to return it which is understandable because let's face it, I would not want hair extensions someone else has tested or tampered with. I think that's really cool and this way both the customer and company are happy. There were also extra clips in case you wish to add some extras which I thought was a good touch. 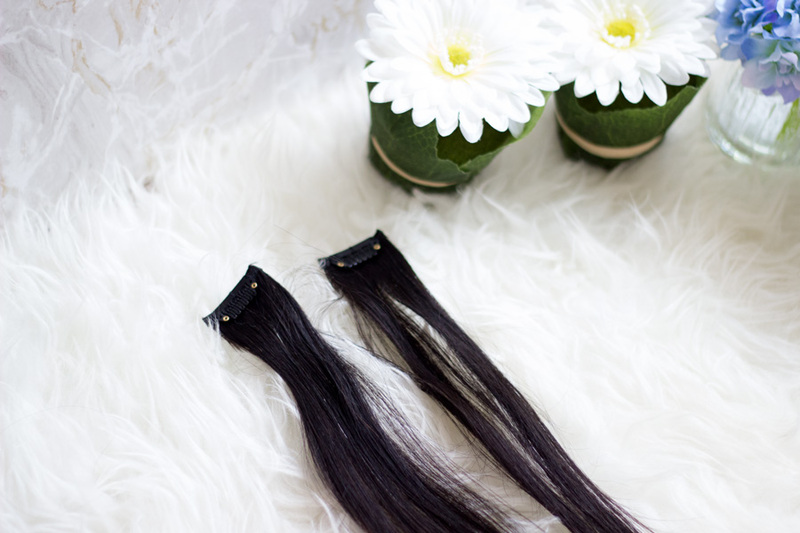 I always check the wefts when I get my hair extensions to see if they are well made. 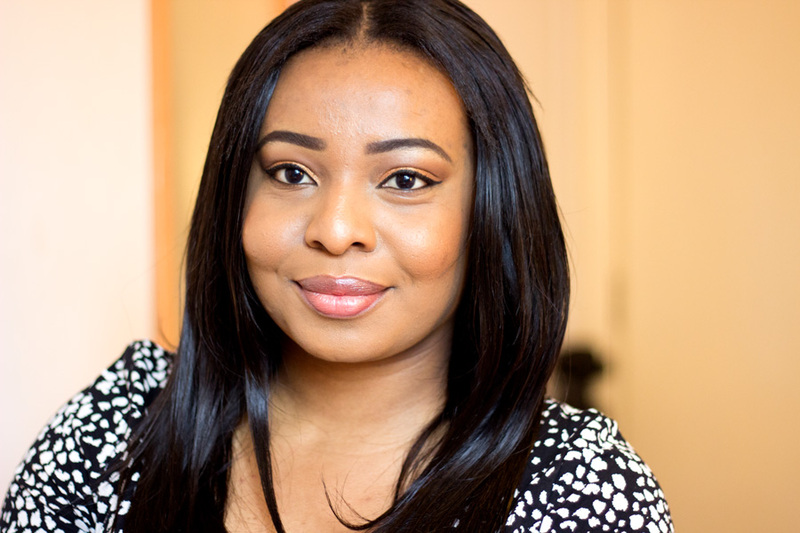 Any hair extension wefts which are sewn well always last longer and I was not disappointed with the Irresistible Me Hair Extensions. 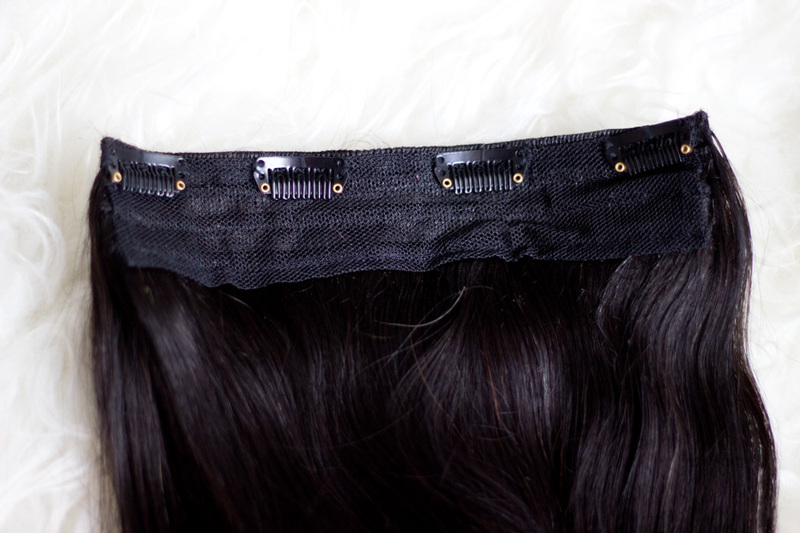 The wefts are well sewn as you can see from the photos and there were no stray hairs to be seen. I am not sure how many clip-ins are included in the other weights but my 200g has 10 clip-ins which I believe should be enough for anyone. Within the 10 clip-ins, I got 1 large base pieces which had four clips, 2 pieces with three clips, 5 pieces with two clips and 2 pieces with 1 clip each. I like this spread because it means you can do various styles with it and just customise it to clip in where you need more length or volume. My favourite piece is of course the largest base piece which has four clips. It has the most amount of hair (I think it is two wefts sewn on top of each other) and it really gives the hair a nice voluminous look. I already mentioned that I had clip-ins I made myself in the past and one thing I had issues with (the first time I made mine) was finding the right clips. 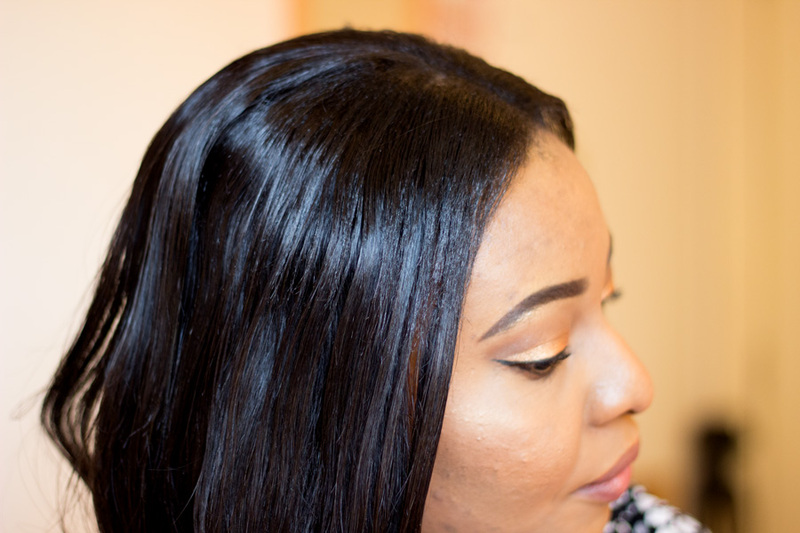 I am so happy that Irresistible Me used the right clips for these clip-ins as they are comfortable, don't tug on the hair and are very secure. No one wants to wear clip-ins that may fall out or give you headache and I like the choice of clips they used. They are also some extra clips thrown in for good measure. Now this is the area many people are concerned with and it's with good reason. 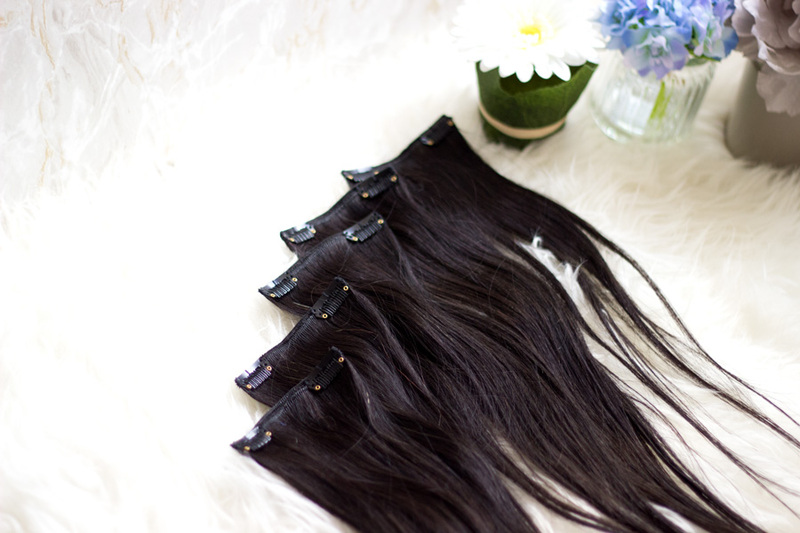 Nobody wants to spend their money and purchase hair extensions with bad quality and there are many out there in the market. 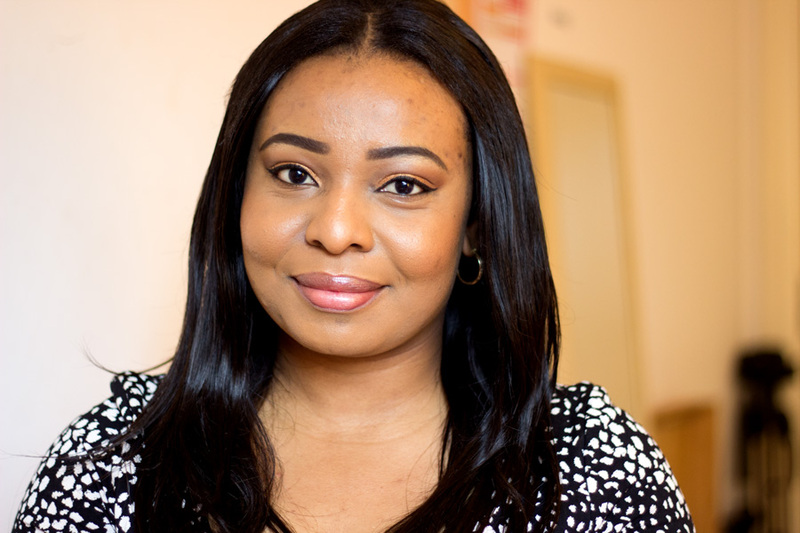 I have used so many hair extensions especially virgin human hair extensions so I would like to think I have good experience in this area. 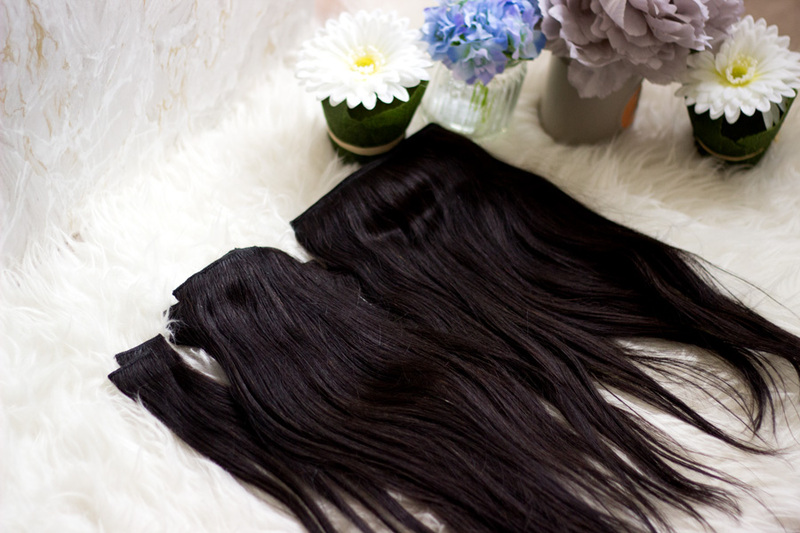 First off, I am happy Irresistible Me Hair extensions do not claim to be virgin hair but rather they are high quality human hair extensions. Honestly, the quality of the hair I received is top notch. I have not experienced any shedding at all and I guess this is down to the fact that the hair extensions are well sewn on the wefts. I also have not experienced any tangling which I am most pleased about. 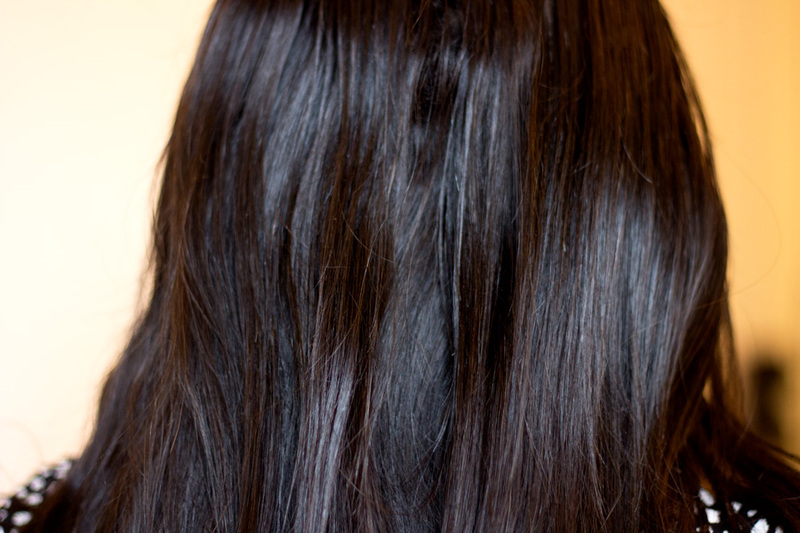 Again, this is because it is Remy hair and they all face the same direction (and possibly from a single donor) so very minimal chances of shedding. I have used some extensions (more expensive than this) that claimed to be virgin human hair and they tangled like no man's business. It is very frustrating to have hair extensions that tangles but I am glad these hair extensions don't do that. I do have to mention that I don't wear these extensions everyday so I am not sure what happens over a prolonged period but I don't think it should tangle. 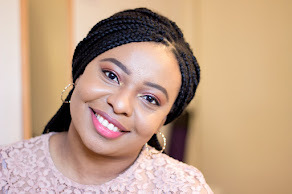 During the times I have had them on, I have been to the gym, sweated and the hair did not bunch up/mat together at the nape of my neck or tangle. For that alone, I know it is really good quality hair. As you may or may not know, my hair is a natural afro. This simply means that my hair is not chemically processed or treated in any form. 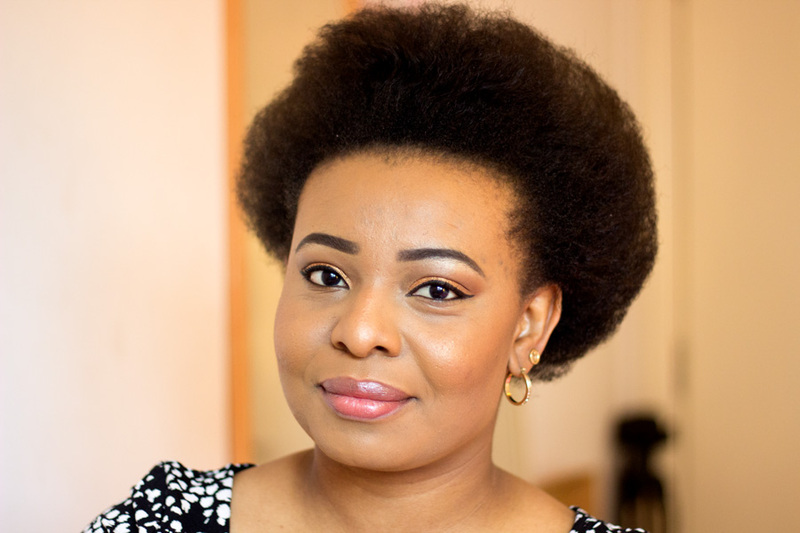 I only went natural about two years ago because I was fed up with my relaxed and chemically processes hair which was far from healthy. Two years on and going natural has been the best decision for my hair. It's so much healthier than it used to be although I can't say I have been very good at taking care of it as well as I should. 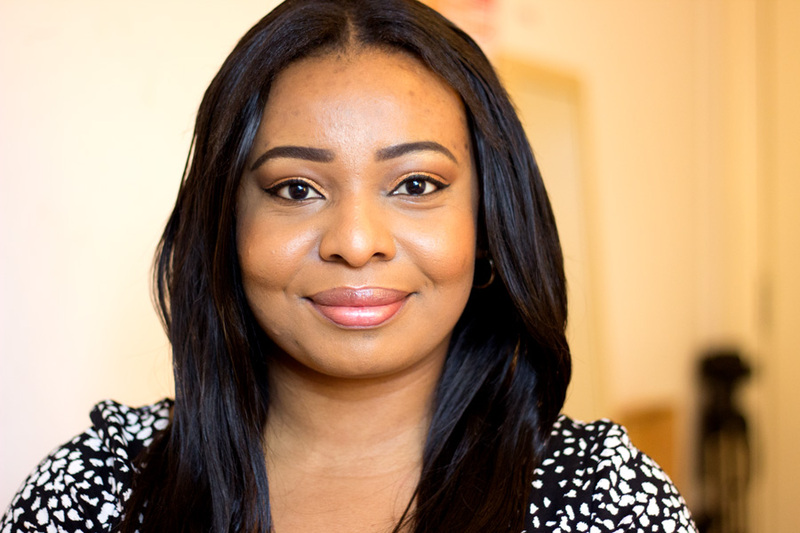 I also rarely use heat on my hair but I had to when I had these hair extensions on because it does not match the texture of my hair. If you already have afro relaxed hair or any other kind of texture, this would be a good match to your hair. 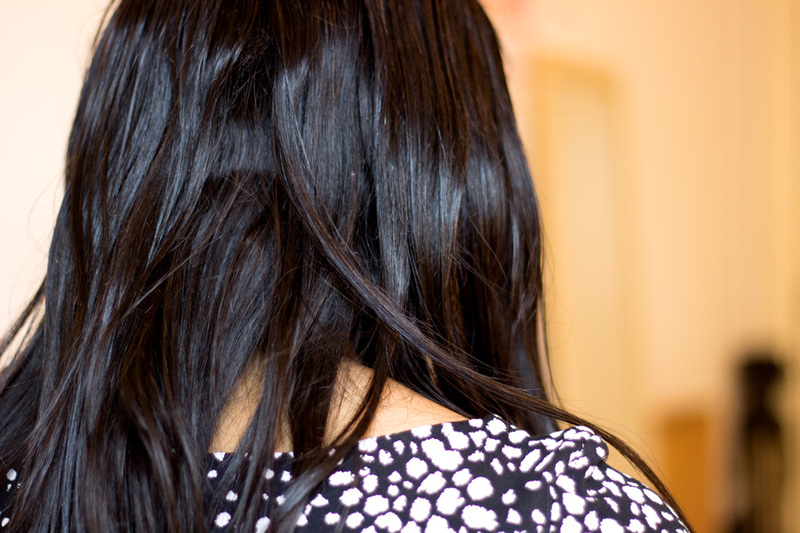 There are two ways (in my opinion) to wear hair extensions for it to look realistic. One way is to have all your hair out and clip them into little sections in between your own hair where it is undetectable. This would have been ideal if the extensions matched the texture of my hair. Instead, I opted for the other way which involves doing corn rows all over my hair and just leaving the front section for straightening. The corn rows I did were not neat at all and don't need to be because no one would see it. I just corn rowed my hair going backwards and left the front section out. 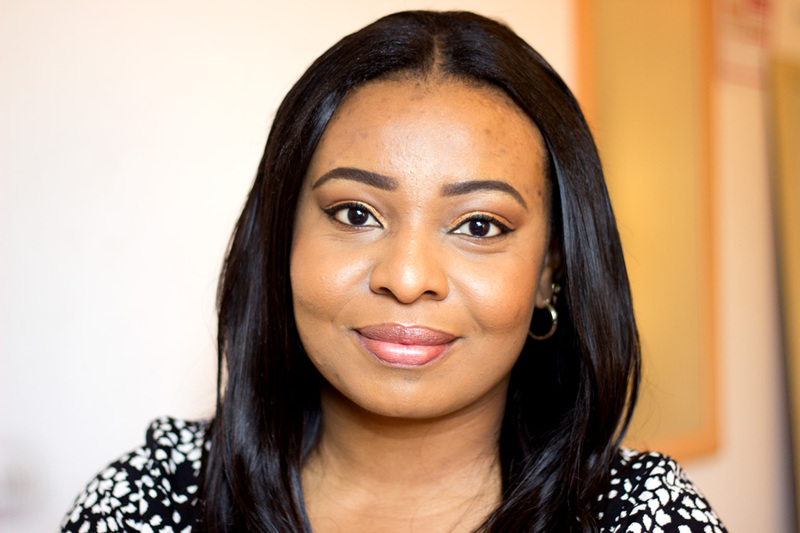 As mentioned earlier, I have purchased many hair extensions (many are amazing but a few were terrible) so I have paid various prices for different qualities of hair. 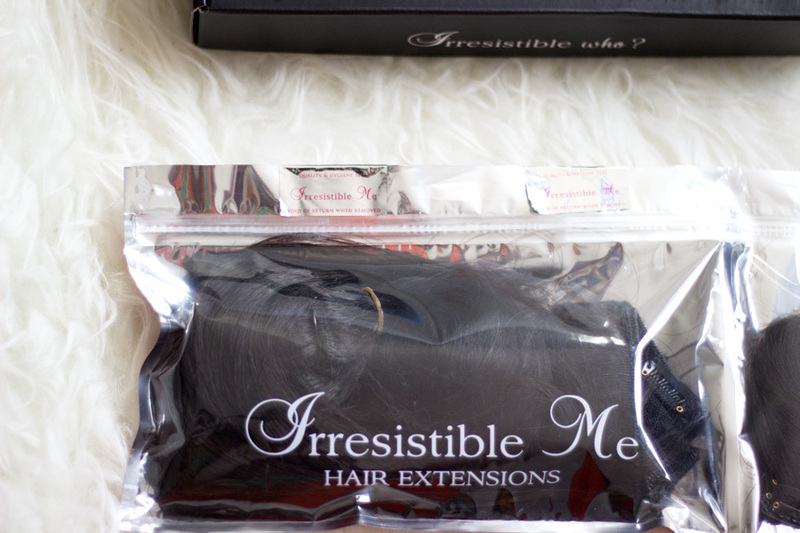 I think the hair extensions from Irresistible Me are very reasonably priced for the quality you get. 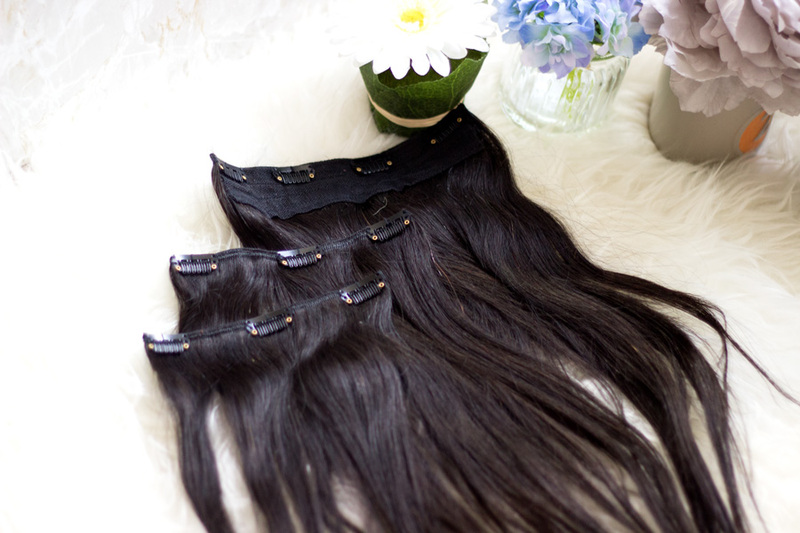 The Silky Touch Clip-Ins retails from $79 (on sale now for $59) but it all depends on what length and weight you are after. 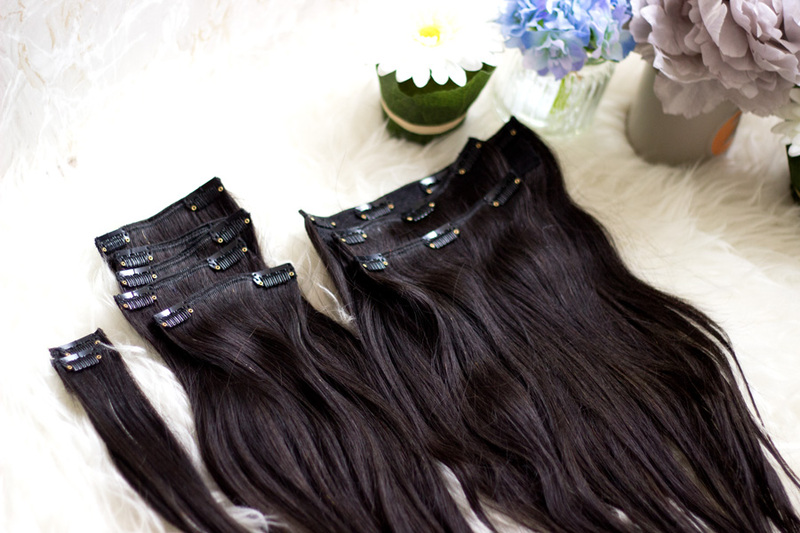 Obviously, the less grams you choose, the cheaper it is but you also get less clip ins. I checked on the website and the cost for the particular unit I have (14 inches, 200 g and 1B) is $139. They also currently have a 25% discount (no code needed) currently on their website to celebrate Fashion Week so it now retails for $104. I am not sure how much shipping costs because it all depends on your location and this hair was sent to me so I can't say how much shipping costs. However, I can tell you that the shipping was very fast and I was super pleased with it. I am really impressed with the quality of these hair extensions and I honestly did not expect to like it so much as I do. It's so ideal for times when I don't have the energy to do more complicated hair styles. All I have to do is a few corn rows, attach the clip-ins and I am good to go. I don't use them everyday but I have enjoyed the times I have had them in and I know I would get so much use from them. I love how easy it is for me to change up my look with minimal effort. I plan to colour them soon to see how well it can withstand any further treatment and I would be showing that in a video or maybe a blog post. That's pretty much it. I have really enjoyed using them and they are amazing quality. 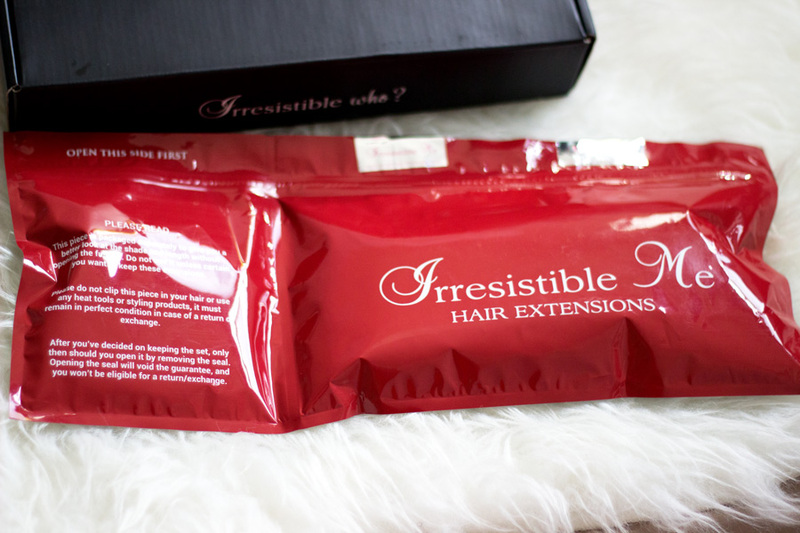 Have you tried the Irresistible Me Hair Extensions? They look gorgeous! I envy you for being able to make your hair yourself...I think 'cause it can be pretty cheap here, we take things like that for granted. Oh btw, didn't know you were natural. Your hair is so full and looks so good.